Have you ever had someone help you with a computer issue? You watch them intently because you want to see and understand how they are fixing the problem but soon the clicking is happening too fast and the screen is changing from one thing to another and windows are opening and then closing. What you hoped to be instructional is now just a blur. If the help ends there your computer will be working again but the downside is that if the problem reoccurs you will be as helpless all over again. There is a famous proverb: Give a man a fish and you feed him for a day. Teach a man to fish and you feed him for life. When Jesus was here He was often asked to perform another sign or miracle. We are drawn to them. Miracles draw a crowd but they don't draw hearts and minds. People go to magic shows and have a good time. They may even ponder for weeks what happened or how it happened but they aren't drawn into a relationship with the magician. The gift of tongues had almost become a toy in the Corinthian church. Like a computer whiz or a magician people were trying to dazzle others with their gift but no one was being helped by any of it. It was a misuse of the gift and a misunderstanding of what it was for. God desires that we know Him, that we understand Him, and that we in time come to love and trust Him. Every gift is given for that purpose. I can speak more than one language but who would be benefited if I walked into a church where no one could understand the language I was speaking? They would leave having learned I speak a language they don't and that would be it. The lesson in all this is simple. We are gifted by God to serve others, not ourselves. We are gifted by God to lift up Jesus, not ourselves. Musical instruments were not invented to make sound, they were invented to make music. If our lives and our gifts are not being used to bring to others a deeper, clearer understanding of God than we are not making music, we are just making noise. The issue in Corinth wasn't tongues. It was pride, ego, and selfishness. Just ask yourself one simple question. Am I using my gifts to serve others and draw them to Jesus or am I using them to draw attention to myself? 14:1 Pursue love, and desire spiritual gifts, but especially that you may prophesy. 2 For he who speaks in a tongue does not speak to men but to God, for no one understands him; however, in the spirit he speaks mysteries. 3 But he who prophesies speaks edification and exhortation and comfort to men. 4 He who speaks in a tongue edifies himself, but he who prophesies edifies the church. 5 I wish you all spoke with tongues, but even more that you prophesied; for he who prophesies is greater than he who speaks with tongues, unless indeed he interprets, that the church may receive edification. It was tough to choose where to cut off today's portion of Scripture because all of chapter 14 is on this topic of spiritual gifts and specifically how the gift of tongues was being over valued and misused. Let's start at the top. Paul writes that we should pursue love and desire spiritual gifts. What he is saying is that love is the ultimate. It must be pursued above all else. It is a the Pinnacle. Nothing is higher or better. All the gifts minus love are noise and confusion. So make love your singular pursuit and desire gifts only as a complement to your love. Love is the foundation, walls, and roof of your house. The gifts are the furnishings. You can survive the rain and snow and cold in a house with no furniture much better than on furniture with no house. Never think your talents, gifts, and position make love optional. Love is never optional and God is eager to fill us with His love. Having said that as clearly as I know how the gifts are not nothing. To have a dry, heated, garage is awesome. To have tools to work with is so much better. Apparently there was a language problem in Corinth. The words tongue and tongues just means language and languages. It can refer to and most often does refer to human languages. It can also refer to the language of heaven as mentioned in the last chapter when Paul said "Though I speak with the tongues of men and of angels..." It is possible to be given the gift of speaking the language of the angels. Some people are uncomfortable with that idea but it's Biblical. Paul addresses the problem head on as Paul always does. First he clearly states prophecy is the best gift. Why? Because it is a clear message from God, through an individual to His church. It is practical and powerful both for the one who is given the message (prophet) and those who hear it (the church body). Speaking in other languages is also a great gift but if no one knows the language it is just noise. Paul is not condemning the gift, he is condemning the improper use of it. If anyone has the gift and uses it in public it must be accompanied by a translation into the language of the listeners or it is entirely counter productive. So in summary, love is supreme, prophecy is the best gift and languages is a good gift too if uses properly. We'll continue tomorrow and flesh this out even more. 13:13 But now faith, hope, love, abide these three; but the greatest of these is love. Up until today I read the verse to say that there are three important things, faith, hope, and love and of the three love is the greatest. The Greek word translated abide or remain is a verb, an action word. It is actually the third word of the verse. It can mean, depending on the context - I remain, I abide, I stay, or I wait. Now think about what Paul said that lead him to make this final statement which should (I believe) read like this: "Now moreover abide in hope, faith, and love, these three, but the greatest of these is love." Remain in the hope that we will see Him face to face, that the childish darkness we live in now will give way to more and more of His glory and we will come to know Him as deeply and intimately as He knows us. Remain in the faith that all these things will come to pass for anyone who comes to God must believe that He Is, and that He is a rewarder of those that diligently seek Him. Now why remain in love and why is it the greatest of the three? Remain in His love even as a child, fumbling in the dark, thinking we know when we don't, throwing tantrums when His ways are not our ways, frustrated because we can't see Him, can't understand Him, and it feels like we may never. Remain in His love when you make mistakes born from our blindness and immaturity. Remain in his love just a child who runs from home always returns because love draws them back. Remain in His love that is always patient when we give Him countless reasons to lose patience, always kind when we are not. Perhaps the most staggering one for me is that God keeps no record of wrongs. Remain in His love. I was always taught that there is a "book" that has all my sins and all your sins written down. There is. It's in the Bible. What I have since learned is that God is not the author of this "book". He keeps no such record. It is kept by the accuser of the brethren - Satan himself. Remain in that love, God's love. Hope can wobble because we wobble. Faith can flicker because we are fickle. But if our anchor of hope and faith is anchored in His unchanging and unchangeable love we have nothing to fear. Love is the greatest for He is love and love wins. 13:9 For we know in part and we prophesy in part;10 but when the perfect comes, the partial will be done away. 11 When I was a child, I used to speak like a child, think like a child, reason like a child; when I became a man, I did away with childish things.12 For now we see in a mirror dimly, but then face to face; now I know in part, but then I will know fully just as I also have been fully known. 13 But now faith, hope, love, abide these three; but the greatest of these is love. This chapter on love is so rich we could spend weeks on it and in the end it may all have been foolish talk. To pretend I know much about love is practically fraudulent. So instead I will stick to the little bit I do know. I know children know a lot less than they think they know. I know adults aren't far behind them. How many times have we made declarations in the field of medicine, or science, or health, etc... only to decide a decade or two later that the opposite is true? Of course we always think the current info is correct and laugh at the past until we find out tomorrow that what we were thinking yesterday was out in left field. How many of us ate dog food or cat food and thought it was pretty good and then later got embarrassed when Mom or Dad told the story? When we learn we put foolish ways behind us. To do that we have to learn. Learning takes time. It takes mistakes. It often involves pain. As a parent I know there are many things my children don't know yet. I don't love them less because of it. In many cases it means I have to give them more love and attention. A baby learning to walk needs guidance and a safe place to practice where the inevitable falls won't result in cuts from sharp corners or objects. Love doesn't prevent the falling. It's a necessary part of the process but love does ensure safe spaces. The gap between us and God is infinitely larger than the gap between a parent and child. He does not prevent all the falls but you can rest assured He is right there rounding off the sharp edges. However that's not the amazing part. More than once each of my children told us they hated us. They were angry or frustrated or way over tired and in their condition could not understand the decisions we were making or the circumstances we were putting them in or choices we were making for them. It wasn't pleasant to hear but it never diminished our love for them. We knew if they understood what we knew their position would be different but they didn't understand and that's just the way it was. There are times I see traits in them that are not lovable. Sometimes I only need a mirror to see where those traits come from. Still my love is not reduced. We know in part says Paul but someday we will see Him face to face and we will know Him just as deeply as He has known us all along. They say a true friend is one who knows all about us and loves us anyway. There is only One in the entire universe (or multiverse depending on your view of space) who knows all your thoughts and loves you no less as a result. You need hide nothing from Him for He knows it already and loves you just the same. 13:8 Love never fails; but if there are gifts of prophecy, they will be done away; if there are tongues, they will cease; if there is knowledge, it will be done away. 9 For we know in part and we prophesy in part;10 but when the perfect comes, the partial will be done away. 11 When I was a child, I used to speak like a child, think like a child, reason like a child; when I became a man, I did away with childish things.12 For now we see in a mirror dimly, but then face to face; now I know in part, but then I will know fully just as I also have been fully known. 13 But now faith, hope, love, abide these three; but the greatest of these is love. There is a definite rhythm to Paul's words. It's almost poetry yet his intent is not to create poetry but rather symmetry by weaving the gifts from chapter 12 into chapter 13 in contrast to love. The gifts are patches. They are a substitute to make up for a lack of love and a road back to it. Let me try and illustrate. My son learned to ride his bike using training wheels. The wheels were a gift. He did not by them. They enabled him for a time to do what he could not do without them - ride his bike. He doesn't use them now. Hasn't for years. He has grown past the need. What Paul is teaching is that where love is thriving no gifts are needed. Prophecy illuminates God. It points to Him. It uncovers His plans and teaches us that He knows the end from the beginning. It builds our trust in Him. But guess what. When we know His love and love Him in return we don't need prophecy to convince us of anything. We know. The same is true of knowledge. We only need it given as a gift if we lack it. Moses lacked it. He knew stories from his childhood about Abraham and Isaac and Jacob and the God they served. He had a vague idea of Him. Follow the story of his life though and you discover he knew very little of the heart of God until after the incident with the golden calf and the smashed tablets. Moses thought it was all over. He figured they blew it and God was done with them. The God he thought he knew would never forgive such flagrant rebellion. That is until God told him otherwise. The conversation is almost comical in Exodus 33 as Moses begs God to stay with them and God keeps saying He will but Moses keeps begging anyway. His false picture of an unforgiving God deafens him to God's voice. He can't conceive of the possibility God has not given up on them. When he finally heard what God is saying he blurts out "Show me your glory!" It's Moses way of saying "Who are you?!!!" God agrees to give Moses a glimpse of His glory (his character). It turns out the very first thing God reveals is that He is merciful and compassionate. Moses never knew... and because he did not know God gave him a gift of knowledge. In a singular moment he revealed things that up until then Moses had not known. What's my point? Had Moses known what love is and that God loved him and Israel inspite of their track record of falling on their faces he would not have needed this great Revelation or gift of knowledge. Love makes all the other gifts redundant. Love includes them all and infinitely more. Love covers a multitude of sins. Love is stronger than death. Love is like a most vehement flame and many waters cannot quench it. Hearts joined by true love can never be separated. With Godly love comes perfect trust, supreme confidence, unquenchable hope, unshakeable faith and so much more. God is love and love has already won. Those who know His love know this, no matter what lies are spread, what tragedies occur, or whatever may come. The war is not ended but the outcome was determined 2000 years ago when Jesus defined His love with His life. "For God so loved the world that He gave His only Son, that whosoever believes in Him will not perish but have everlasting life." Moses saw some of His glory. Jesus revealed it all. 1 Corinthians Day 86 - What's Love Got To Do With It? 13:4 Love is patient, love is kind and is not jealous; love does not brag and is not arrogant, 5 does not act unbecomingly; it does not seek its own, is not provoked, does not take into account a wrong suffered, 6 does not rejoice in unrighteousness, but rejoices with the truth; 7 bears all things, believes all things, hopes all things, endures all things. Love: the most misused and abused word in the English language. Yesterday we saw that all the gifts, talents, and sacrifices in the world given or made without love are nothing. We saw that love has more power to effect lives positively than any thing else. What we didn't do was look at what love is. In our culture people will say anything from "I love my car to I love peanut butter and jam sandwiches." The word is tossed around like a football yet it is the most rare commodity on the planet. Why do I say that? Because Love is a lot more than we think it is. On a personal level I know that I don't love. I want to love but it's above me. Love is patient. I am not. Love is always kind. My kindness ebbs and flows like the waves on the seashore. Love does not envy or is not jealous in the negative sense. A new Mustang GT rumbled past me on the highway last night scrapping any delusions that I don't envy. Love does not brag. I do. Love is not arrogant. I certainly can be. Love does not act unbecomingly. My kids might have something to say about that. Love does not seek it's own. No comment necessary. Love is not provoked. Oh boy... Love keeps no record of wrongs. I dream of the day... Love does not rejoice in unrighteousness but rejoices in the truth. Maybe possibly this is happening in my heart. Love bears all things. Me? Not so much. Love believes all things. Me? I want to have faith like that. Love hopes all things. Perhaps this is my entering wedge into what love actually is. I am quite hopeful God is able to do far above anything I ask or even imagine. Love endures all things? I'll take a pass lest I be found a liar. Finally love never fails. That's more staggering than love is patient and keeps no record of wrongs. When I tell my wife I love her, truthfully it's a lie. What it actually means is that all the goodness in me, is aimed at her as pathetic and lacking as it may be. Need some encouragement after that dose of reality? God is love. Do you know what that means? God is patient, God is kind and does not envy; God does not brag and He is not arrogant, He does not act unbecomingly; He does not seek His own, and is not provoked. God does not take into account a wrong suffered, He does not rejoice in unrighteousness, but rejoices with the truth; God bears all things, believes all things, hopes all things, endures all things. All He asks in return is that we love Him and others with all we have. We may not have much. Our love may be battered, bruised, and broken, but if we give it all He covers the lack. He counts no wrongs against us and He behind the work of restoration. Some day I will be patient and kind. Until then I am His and I will do my best not to interfere with my Master. I am but clay. He is the Potter. 13:1 If I speak with the tongues of men and of angels, but do not have love, I have become a noisy gong or a clanging cymbal. 2 If I have the gift of prophecy, and know all mysteries and all knowledge; and if I have all faith, so as to remove mountains, but do not have love, I am nothing. 3 And if I give all my possessions to feed the poor, and if I surrender my body to be burned, but do not have love, it profits me nothing. All the gifts of the Spirit without love are nothing. Everything without love is nothing. Where was the love when the sick were treated as cursed and passed by or ignored? Where was the love when the Samaritans, their own flesh and blood were avoided like the plague? Where was the love when Jesus was rounded up and killed like a common criminal? Where was the love when God's people were sacrificing their own children? Where was the love when women were treated like cattle and when all other nations were treated like unwanted dogs? Religion without love is not just missing a key ingredient. It is evil. However Paul is making a different point. The Spirit gives gifts to us to help us reach people more effectively but there is a more excellent way to reach people - Love. Love will win where arguments fail. Love will win where miracles fail. Love will win where all the gifts in the world aren't enough. In fact all the gifts without love is just noise and distraction. Ask the woman at the well what won her to God? Ask the blind man. Ask Peter what got him back on his feet after denying Jesus. 12:27 Now you are the body of Christ, and members individually. 28 And God has appointed these in the church: first apostles, second prophets, third teachers, after that miracles, then gifts of healings, helps, administrations, varieties of tongues. 29 Are all apostles? Are all prophets? Are all teachers? Are all workers of miracles? 30 Do all have gifts of healings? Do all speak with tongues? Do all interpret? 31 But earnestly desire the best gifts. And yet I show you a more excellent way. Paul doesn't just list the main gifts given by the Spirit, he ranks them. Then he advises Christians to desire the best gifts. I can't help but notice his list is not what you would expect. Some may disagree with me here and that's perfectly normal and healthy but I'm going to attempt to define an apostle. The word literally means 'one who is sent out'. Paul can't be referring to the narrow definition of the original 12 apostles because it would have been impossible to join that group so why be told to desire a gift you can't have? Instead let's look at the more general description of an apostle. To be sent out involves someone sending you. So an apostle is a person the church recognizes as capable and worthy to send out to unreached places like Paul did to spread the good news about Jesus. Such an individual would today be called a missionary and Paul describes that giftedness as being the most desirable above a prophet or a teacher. Now look at the church and the world. If you asked the average person to list the gifts Paul has given here in order of desirability how do you think most would rank them? Do you think the ability to heal and perform miracles would be at the bottom? It is interesting to not that one large Christian denomination places a huge emphasis on speaking in tongues. They basically teach that you haven't received the Holy Spirit at all if you can't speak in tongues. Clearly we don't value what God values and over value other things. When it comes to miracles, Jesus said "A wicked and perverse generation seeks signs and miracles." The tendency to undervalue what it truly valuable and over value what is not pervades our society. Think about it. We hold huge galas televised internationally to give awards to actors and musicians. What about the teachers who work tirelessly in less than easy or ideal circumstances to educate our children, often spending far more time with them than we do? What about the doctors, nurses, and other medical personnel that care for our health? Where are the accolades for them? Even in the church it is all backwards. Missionaries go where they know no one and make no money to share God's love with strangers and we barely lift an eyebrow. Meanwhile the preachers who "stay home" and preach to the "saints" on a comfortable salary etc... receive far more appreciation. Now before I get myself in trouble by being too critical my point is not to rank us by what we do. My point is to really look at the list of gifts and the order Paul put them in. Then look at your life and the world around you and seriously ask yourself if your evaluation of what is important or truly valuable is right. Would Jesus agree? Desire what He would desire if He were in your situation. One more thing. Think about people in your life who will never make a headline or receive an award but are doing something that is really making a positive difference. Then find a way to let them know it is truly appreciated. Soon we'll explore "a more excellent way". 12:18 But now God has set the members, each one of them, in the body just as He pleased. 19 And if they were all one member, where would the body be? Paul has spent a significant amount of time on this idea of comparing the church to a body. We should take note of that. It is not a passing comment or a small point he is making. The success of the church in demonstrating the glory and goodness of God hinges not on the "performance" of any individual believer. The truth of God's love and the revealing of His character and the superiority of His government over the claims and strategies of Satan can only be accomplished​ by us working as a body. Think about it. The world is fractured in every way possible. Colour divides. Gender divides. Politics divide. Ideologies divide. Religion divides. When Jesus was here His church was the most divisive organization on the planet. They didn't even have room for Him. The church was even deeply divided within itself. Jesus told them that a house divided cannot stand and it didn't stand. Though Judaism still exists to some degree as a religion it has never and will never be what it was because they rejected the only One who could bridge the divides, heal the chasms, and restore love and grace where there was little to none. Jesus was a bridge builder. Imagine what would happen if His church reflected that one reality. He did not come to elevate one people group or one idea above another. He came with a simple unchangeable Truth. We'll explore that Truth tomorrow or the next day. 1, Am I a contributor to building healthy diversity or am I contributing to lifting up one way or one idea or one people as superior? 2, Am I committed to using the gift(s) God has given me? 3, Am I sharing my gift(s) as part of a team or trying to do it alone? 4, Do I look for gifts in others and help them develop those gifts? 5, Would others consider me an encourager or a discourager? 6, When my pride swells and I feel I'm not appreciated as I should be, do I recognize it as pride or do I go in search or recognition? 7, If my gifts were like the kidneys and no one ever thought about me or the critical yet invisible part I play would I be ok with that? 8, Does my life look more like Jesus or like the religionists that killed Him? 9, If God asked me to use a gift I was not comfortable using would I do it? 10, Finally if we are to desire the greater gifts would I be content if God didn't give them to me? Would I look at those who have them with gratitude or envy? 12:17 If the whole were hearing, where would be the smelling? 18 But now God has set the members, each one of them, in the body just as He pleased. 19 And if they were all one member, where would the body be? We were created for relationships and by relationships I don't just mean romantic ones. God designed us to be incomplete without each other. We are like puzzle pieces. We are nothing by ourselves and the rest of the puzzle needs our contribution to be whole. There are incredible people in this world who are missing parts of their body yet find ways to accomplish the seemingly impossible without them. Recently I discovered a young woman in Romania who plays the piano and sings yet she has no arms. Many of us are familiar with Nick who travels the world inspiring others with his accomplishments and positive outlook on life even though he has no arms or legs. What people like him do is amazing but still limited. When part of the body is MIA the rest of the body suffers. What is really interesting about the body is that we can survive without many of the visible parts but if you were to take away any of the unseen parts we would be in far worse shape. We may even die. I believe God is teaching a lesson by this. We tend to overvalue the visible up front people. I can tell you after twenty plus years in ministry as the up front person that the success of a local church is not found there. It's the people and actions that go on behind the scenes that keep a church truly healthy or make it toxic and unhealthy. It's how the members treat each other, support each other, and interact in the community in which they live and serve that have the greatest impact on the health and long term success of a church. Never be fooled by thinking any one person is less or more important based on the function they have or the position they hold. Any individual who is successful is only successful because he or she works in a team and they make him or her shine. That being said God has designed each of us for a place to serve. It may be visible. It may be invisible. It does not matter. Visible or invisible you are needed in the very place God designed for you to be. It is the place you will find the most success and fulfillment because God knows what He is doing. 1 Corinthians Day 81 - Different? 12:12 For as the body is one and has many members, but all the members of that one body, being many, are one body, so also is Christ. 13 For by one Spirit we were all baptized into one body—whether Jews or Greeks, whether slaves or free—and have all been made to drink into one Spirit. 14 For in fact the body is not one member but many. If ever the Bible spoke boldly and clearly against uniformity it is here. Comparing the people of God to a body Paul says not only are the parts not the same, but that they must be different. They must be different. They absolutely have to be different. Did you catch that? Different isn't just ok. It isn't just better. Different is a necessity. A couple of days ago a colleague of mine posted an article about the importance of pastors dressing well. I responded by saying the premise of the article is both true and false. It is true that some people need a well dressed pastor. Anything less would be a distraction for them. They would struggle to take him or her seriously. However there are others and probably many more of them who would struggle to listen to a guy in a suit and tie. He would seem to distant, too foreign, too far removed from the reality they live each day. Others would subconsciously reject a guy in a suit as a used car salesman. They are craving authenticity and a suit may be a barrier for them. Guess what? It's good that some pastors have a professional persona and it's equally good that others look like the guy next door or the guy on the next bar stool. It's not either/or. 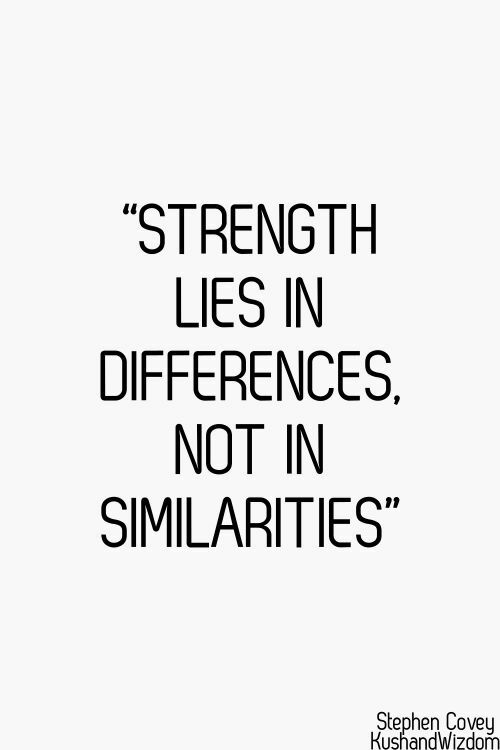 It's different and different is not just ok or even better. It's imperative. So if you feel different don't despair. God has a purpose for you that is perhaps more unique than many others but no less important. Let me remind you again that Jesus and John the Baptist were very different in style and approach yet both effective and both on the same team. Look at the 12 disciples Jesus chose. They represented quite a variety. Some were favourable to the Romans. One was a political zealot intent on freeing the Jews of the Roman yoke. One was a hated tax collector. Some were uneducated fishermen. Some thought deeply and rarely spoke. Others spoke quickly and made you wonder if they thought at all. Do you think it was an accident? Did Jesus make a mistake picking men who spent so much time arguing? Never. He didn't have a plan to reach some people. He wanted to reach all people. He wanted Democrats and Republicans. He wanted the upper class and the simple folk. He wanted all nationalities. He wanted both genders and the unsure. How would he reach them all with cookie cutter uniformity? He wouldn't. So He called a variety of men and then a crew of unofficially called women because the culture wouldn't permit women as disciples. Then He set about stretching their minds even wider, higher, and further than anyone thought possible. If you really want to follow Jesus be prepared to not only accept different but embrace as more than ok. It's critically important. 12:7 But the manifestation of the Spirit is given to each one for the profit of all: 8 for to one is given the word of wisdom through the Spirit, to another the word of knowledge through the same Spirit, 9 to another faith by the same Spirit, to another gifts of healings by the same Spirit, 10 to another the working of miracles, to another prophecy, to another discerning of spirits, to another different kinds of tongues, to another the interpretation of tongues. 11 But one and the same Spirit works all these things, distributing to each one individually as He wills. Did you notice how complementary gifts are clustered together yet given to different people? Wisdom and knowledge. Faith, healing, and miracles. Prophecy and the discerning of spirits. Speaking in tongues and interpreting tongues. "No man is an island. No man stands alone. Each man's joy is joy to me and each man's grief is my own." God designed for us to be one. He gifts us so that without each other the gift is incomplete. I was taught growing up that knowledge is having the information. Wisdom is knowing what to do with it. Neither skill is useful by itself. It's wonderful to have the Spirit prophesy through a person but how do we know what spirit it is? It is a gift from God to be able to recognize the difference between the voice of the Spirit and the hiss of the serpent. To be able to speak a language you were never taught is a gift. To understand a language you never knew and translate it to a language those around you know is another gift. You will remember that on the day of Pentecost right after the disciples received the Spirit for the first time Peter stood and spoke to the gathering crowd. The crowd had come to Jerusalem from all over to celebrate the feast and spoke many languages. The Bible says although Peter was only speaking one language they all heard what he said in their own language. The Spirit interpreted. Both language gifts are needed in a multilingual setting. The gift to speak the language of another and the gift to translate to other languages. What about faith, healing, and miracles? Jesus performed miracles that weren't healings. He directed the weather. He had Peter catch a fish that contained money. He cursed a tree to teach a lesson. Here Paul teaches that faith, healing, and miracles are all different yet connected. We think of faith as a necessary component for healings and miracles but it takes more faith to endure no healing and no miracles. Scripture does not support the false teaching that with enough faith healing and miracles will always follow. Sometimes yes. But sometimes the answer is no. Paul asked for healing. God's answer was "My strength is made perfect in your weakness." Jesus asked to be delivered from the agony of the cross. God's answer was silence. Elijah got the miracle he asked for but almost lost his faith in the aftermath. It takes more faith to endure darkness than to celebrate in the light of healings and miracles. They are complementary gifts but separate. Better to have faith with no miracles than miracles and lose faith. And that is the point. God designed for us to need each other. Our gifts fit together like hands and gloves. Both need each other. Both complete each other. We live in a culture of hierarchical thinking. Someone is always alone at the top. This is not the culture of heaven. Jesus' last conversation with His Father before being arrested was on this very theme. He wanted for us the oneness He had with His Father. We continue to struggle with Who was number one between God and Jesus. Throw the Holy Spirit in there and we almost lose our minds. We are convinced there must be positioning. There must be good, better, best. The disciples were always arguing over positioning. One of their mom's even got involved trying to secure top spots for her boys. When human thinking is imposed on the culture of heaven confusion is sure to follow. It is a miracle of grace to lay that thinking down. They are One. They sit on the same throne. Neither is concerned with being higher or better or more. That's demonic thinking. Tomorrow we'll explore this more as we take a look at the followers of God as a body. 12:8 For to one is given the word of wisdom through the Spirit, to another the word of knowledge through the same Spirit, 9 to another faith by the same Spirit, to another gifts of healings by the same Spirit, 10 to another the working of miracles, to another prophecy, to another discerning of spirits, to another different kinds of tongues, to another the interpretation of tongues. 11 But one and the same Spirit works all these things, distributing to each one individually as He wills. For such a simple teaching it sure has created a lot of confusion, error, and division in the Body of Christ. Some have elevated one gift above the others and made it a test of true belief. Others have almost denied the gifts to avoid the tension. Still others treat the gifts and the Spirit who gives them as something we control. There is beauty in truth. There is harmony in truth. There is humility in truth. God didn't have to give us gifts. He wants to give us gifts. Note the progression of events in the life of a person as revealed in the Scriptures. First the Spirit draws us. Put simply a voice, impressions, feelings, conviction all begin to have an impact on us. Depending on where our journey began this is different for everyone. The bottom line is we get a sense that God is real and that He is drawing us to Himself. For some this happens quickly. For others it is much longer. When we fully discover the reality of Him we have to make a decision. Will I follow Him or not? Will I make Him the Lord of my life or keep Him at arm's length? Those who choose to follow Him get baptized and join the family of faith or the church or the body of Christ. Again this is different for everyone. Some find one church and believe it to be the true church as they understand it. Others go through a series of churches as they grow seeking one that fits their picture of God as He is revealing Himself to them. Track the disciples as they followed Jesus. They were born and raised in the faith yet when they found Jesus it was a definite learning curve. They had to unlearn many things they thought were true but weren't. They also discovered many things they never knew. When their faith was mature and they were fully committed to stay with Jesus no matter what they experienced a new baptism. The baptism of the Spirit. This is when (symbolically) the Spirit moves from the outside to the inside. Referring to Him (the Spirit) Jesus said "He is with you but He will be in you." We already read in this letter to the Corinthians where Paul asked (as a reminder) "Don't you know that your body is the temple of the Holy Spirit who is within you?" When the Spirit of God moves in we move to a new level. We don't get more saved. God does not suddenly love us more. This new level is when we become powerful in the hands of God to win others to Himself. We go from being a patient in the hospital for sinners to becoming part of the medical staff. To be useful in this new role we need skills and abilities. The Bible describes these as gifts of the Spirit. We don't get to choose. He chooses. Coming back to the analogy from yesterday that we are the orchestra of His grace. Every instrument is different. Every instrument can do something that no other instruments can do. We do not get to choose which instrument we are. We may even be gifted to play more than one. We don't get to choose that either. Our only choice in this is to submit to the calling and giftedness the Spirit gives or resist. He is the Potter. We are the clay. 12:4 There are diversities of gifts, but the same Spirit. 5 There are differences of ministries, but the same Lord. 6 And there are diversities of activities, but it is the same God who works all in all. 7 But the manifestation of the Spirit is given to each one for the profit of all. I have a passion for this teaching. The implications run deep and wide and if accepted would revolutionize our thinking which would in turn revolutionize our churches and far beyond. 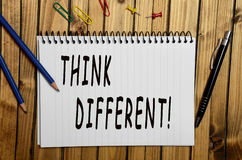 Here is the teaching: Different is not just ok. It's better. We resist different. We call different weird or worse wrong. We gather together in clusters of sameness. We feel safe in our cookie cutter thinking. It may be comfortable but deep down and sometimes not deep down at all we know something is wrong. What can we learn from this? Jesus and John were on the same "team" doing the same "work" yet their approaches were nearly polar opposite. Clearly the method is not cookie cutter. The truth is it can't be. People are different therefore those called by God to reach people must be as diverse as society is. In addition not only are the individuals themselves different but the gifts God gives them to do what He has called them to do are also different. Here is what I have observed in my 20 years in ministry. When God gives a person a gift and a passion for a certain ministry their greatest danger is to fall into the trap of thinking everyone else should have the same passion and not only the same passion but the same approach to that passion. Nothing could be further from the truth. When Peter was told by Jesus the kind of future he was facing, Peter pointed to John and asked "What about him?" To that Jesus replied "What is that to you? You follow Me." That's the core of everything. We must follow Jesus as an individual while recognizing and respecting the diverse ways others are being lead. Religion tends to make boxes and force everyone into a certain mold. For some religions they even prescribe a certain fixed way of dressing. This is not in harmony​ with the teachings of Jesus. Just look at nature. Did God make all the flowers and trees the same? Far from it. Here is what we do all have in common. Our differentness in passions and gifts is for one purpose: To lift up Christ and bless others. We live to serve. We have gifts to be shared. We are the orchestra of His grace and He is the conductor. Play your part. If we all do the music will be awesome! 12:1 Now concerning spiritual gifts, brethren, I do not want you to be ignorant: 2 You know that you were Gentiles, carried away to these dumb idols, however you were led. 3 Therefore I make known to you that no one speaking by the Spirit of God calls Jesus accursed, and no one can say that Jesus is Lord except by the Holy Spirit. Let's quickly define some terms here before we get off on the wrong foot. Typically we use the word ignorant in a negative and often derogatory sense. Paul does not. He uses the term properly. An alternative word in this context would be unaware. Another word used here that we often misuse today is dumb. Typically we use dumb as a synonym for stupid. The word actually means mute - unable to speak. Paul is referring to the fact the idols they used to serve were inanimate objects. You will remember that chapter 11 ended with Paul stating he would deal with the other issues when he came in person. That means for this letter he is done sorting out the issues they were divided over and has moved on to some teaching. That teaching begins with the topic of spiritual gifts. How Paul begins is subtle and if we aren't paying attention we could easily miss it. Idols can't talk or move so how can they lead? They can't. So if the idol isn't leading who is? We are. The whole reason why idolatry was so popular (and still is in a different form) was because we are the god. We call the shots. Now Paul said they were lead and carried all over the place by these dumb idols. Why such a scattered picture? Why do we get the impression there was no consistency? Why were they off in all kinds of directions? Because there was no Leader. When your God is yourself in the guise of an idol truth and wisdom changes like the wind. Mood affects it. Changing circumstances affect it. New desires and interests affect it. There is no foundation. There is no objective anchor apart from ourselves. Idolatry is appealing because we are in control but it is chaotic because we are out of control. Paul offers an alternative - the Spirit of God. With Him there is no inconsistency. No one who is lead by the Spirit can curse Jesus and no one can confess Him as Lord apart from the Spirit. It's a simple lesson today but with profound implications. We are either lead by the Spirit or we are our own god. Take for example the recent declaration by the World Health Organization that pork and processed meats are more unhealthy than smoking is. Well there was a time when smoking was considered beneficial and pork has been a regular part of our diet for a long time. When we are our own god we are literally fumbling in the dark to know what is what. On the flip side the Bible separated clean meat from unclean meats from the beginning. Had we been following God we wouldn't have been eating pork to begin with. That's just one simple example of the difference between the unchanging foundation of being lead by God and the shifting sands of human wisdom, even if that wisdom is a statue named Zeus. 11:28 But let a man examine himself, and so let him eat of the bread and drink of the cup. 29 For he who eats and drinks in an unworthy manner eats and drinks judgment to himself, not discerning the Lord’s body. 30 For this reason many are weak and sick among you, and many sleep. 31 For if we would judge ourselves, we would not be judged. 32 But when we are judged, we are chastened by the Lord, that we may not be condemned with the world. The most misunderstood Being in the universe is God. Atheists write off His existence because they reason logically that if an all powerful loving God exists why is the world in such a mess? Others say He does exist but He is an angry tyrant bringing judgment on those that step out of line. Every hurt, every sickness, and every misfortune is interpreted as some kind of Divine punishment. When dealing with the mess in Corinth Paul touches on the judgment of God. First let's note and understand that most trouble that comes upon us is simple cause and effect. Paul says the effect of being a selfish gluttonous pig is weakness, sickness, and death. Modern medicine would agree. This is true both physically and psychologically. Abuse your body with over eating and drinking in excess and your body will suffer, leading to a lack of energy, then sickness, and then premature death. The same is true mentally. We were created to give, to share, to serve. When we put ourselves first it leads to unhappiness, even depression. These are all negative things we can and often do interpret as judgments from God but they are self-inflicted. Now note Paul's concluding statement on the matter. He says if we would judge ourselves (check our unChristlike behaviour and change) the negative impacts of our bad choices would go away. Then notice his final statement. When we suffer the negative effects of our bad choices it is a chastening from the Lord so that we will not be condemned with the world. It means these people have chosen Jesus. Remember he called them saints repeatedly. However they are flirting with trouble. They are being drawn back into their Christless life. God has designed it so that bad choices produce negative consequences. It is a disciplinary process. It is like the warning lights on your car dash or a ringing fire alarm. They tell us to correct our course. To fix whatever is out of sync or something worse will happen. All of it is designed to save us from ourselves and our bad choices. The Bible says God is not willing that any of us should be lost but that we would all choose right and live. He wants us Home. Taste and see that the Lord is good. 1 Corinthians Day 75 - Unworthy? 11:27 Therefore whoever eats this bread or drinks this cup of the Lord in an unworthy manner will be guilty of the body and blood of the Lord. 28 But let a man examine himself, and so let him eat of the bread and drink of the cup. 29 For he who eats and drinks in an unworthy manner eats and drinks judgment to himself, not discerning the Lord’s body. 30 For this reason many are weak and sick among you, and many sleep. 31 For if we would judge ourselves, we would not be judged. 32 But when we are judged, we are chastened by the Lord, that we may not be condemned with the world. If I were to make a Top Ten List of most misunderstood passages in Paul's writings this passage would definitely be on it. 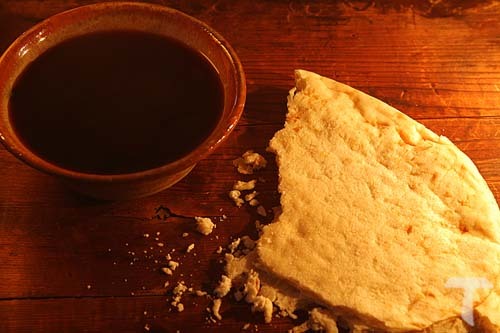 It is not true in all churches but it is a noticeable phenomenon that attendance drops when there is communion. Why? As a pastor I have asked some people and the most consistent answer I hear is that people feel unworthy. Sadly sermons have been preached on this passage misusing the text to say that you shouldn't partake of the Lord's table unless you are ready. In our church communion is announced in advance so people can prepare themselves. Sadly too many have misunderstood this to mean making sure they are worthy. If we were worthy from a deserving point of view we wouldn't need Jesus would we? So what is Paul talking about? Well what is the context? He is addressing the proud and wealthy who come for a feast while ignoring the poor right in their own church. That is what made them unworthy. They came thinking they were more deserving than the less affluent among them. It was their sense of being worthy that made them unworthy. As my favourite author wrote: "Nothing in my hand I bring, simply to Thy cross I cling." The only qualification for being worthy is our unworthiness. If we come thinking we are in some way deserving that is the unworthiness Paul is addressing. Do you remember when Jesus called Peter to leave his boat and become His disciple? Peter and his crew had been fishing all night and they had caught nothing. In the morning Jesus came and encouraged him to go at it again. It made no sense. Experience told Peter it was a waste of time and energy. However this was the same man that healed his mother-in-law so he went back saying "because you say so I will..." They caught many fish and Peter was astounded. He came running to Jesus, fell at His feet, and cried "Go away from me for I am a sinful man!" That right there is the portrait of what worthy looks like. The complete recognition of our utter unworthiness. Who can think himself or herself better than anyone else in such a moment of profound self-realization? To God we are of infinite value. This is true. If you ever doubt your value just look at the price heaven paid for you. Then look beside you. Heaven paid the same price for that person too. The cross is the answer to all our issues of pride and/or lack of self-worth. If we were so awesome we wouldn't have killed God's Son but if we are worthless He would not have bought us back at infinite cost. How can I look at people around me and feel superior? Act superior? Withhold from them food or drink or any other blessing God has blessed me with? 11:26 For as often as you eat this bread and drink this cup, you proclaim the Lord’s death till He comes. I have always loved this verse. For me it parallels the verse where Jesus told His disciples at the Last Supper that He would not drink of the fruit of the vine again until He could drink it with us in His Father's kingdom. Jesus was looking forward. He had His eyes fixed on the destination. In Hebrews 12 it says (referring to Jesus) "who for the joy that was set before Him endured the cross, despising the shame..." Jesus had to endure the pain and shame of the cross but He did it because He knew the end result. His singular goal was to have us Home. That's the joy that was ever before Him. As true and as awesome as that is, Paul had something entirely different in mind when he wrote the verse above. I never saw it until now because I have never walked and prayed so slowly and deliberately through 1 Corinthians before. Now that I have his meaning is obvious. When we partake of the bread and wine we proclaim the death of Jesus. When Jesus was facing that death He was tempted to flee. He prayed three times "Father if it is possible take this cup (mission) from Me..." The weight of the reality of what He was facing was pressing down hard on Him. The weight of all our sin, guilt, and shame was starting to crush Him. Had His number one concern been Himself He would have dodged the bullet. He would have left us here without a Saviour and without hope. He died. Physically He died later but He died in Gethsemane. "Not My will but Yours be done". Jesus chose us over Himself. His desire for self preservation died. He fully submitted Himself to His Father. Every time we eat and drink we proclaim that. Jesus lived and died selflessly for others. How can I as His follower demand my rights? How can I think more of myself than others? Whether it be eating whatever I want no matter the impact of influence on others, or my view of the role of women or my freedom to not cover my head as an equal woman in Christ or stuff my face at the Lord's table because I brought most of the food anyway. Whatever the issue how can I ever think "me first" while eating the bread and drinking the wine that represents He who never ever put Himself first?! 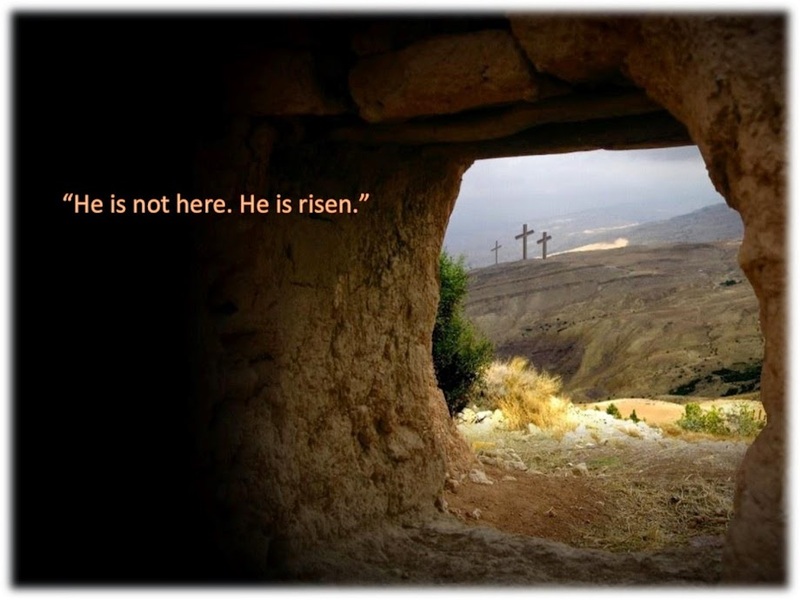 We proclaim His death until He comes. We proclaim full surrendering of self until the war is over. There will be a time of celebration. There will be a time where everything is as it should be. Until then Jesus says "Follow Me." There is no room for self in our mission. 1 Corinthians Day 70 - Why the Contradiction? 1 Corinthians Day 67 - Why Be Offensive? 1 Corinthians Day 61 - What a Promise!